Killer Mike & El-P are taking Run The Jewels back on the road for the Run the World tour, and they're bringing DJ/producer The Gaslamp Killer, MC Spark Master Tape and CUZ of Bust No Moves with them. The 30+ date Run the World tour is set to kick off at the beginning of next year in Philadelphia, wrapping up in New York at the end of February. Some dates, like New York's Terminal 5 on 2/25, have already sold out. In this case they've already added another date the following night, which gives hope to those who haven't already snatched up their tickets. International fans need not worry as they've already announced they'll be performing at the Northside Festival in Denmark, with more dates still to be announced. You can check out the full list of dates below. Tickets are already on sale, make sure to get yours early as many are expected to sell out. The duo most recently released the single Talk To Me through Adult Swim's Singles project. Talk To Me song will appear on the upcoming Run the Jewels 3 LP. Listen to and download that one here. 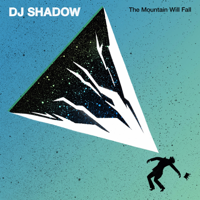 You can check out the video for DJ Shadow's Nobody Speak featuring Run The Jewels, off The Mountain Will Fall LP from Mass Appeal Records/Reconstruction Productions.